Autocal has understood the importance of product risks by monitoring the air against quality standards, testing, giving accurate results and advising the risk factor to the clients. Testing and monitoring of compressed air and other process gases such nitrogen, oxygen, argon and carbon dioxide that come into direct contact with pharmaceutical products is vital to assuring the quality and safety of those products. Compressed Air validation is a critical component in the production of pharmaceutical industry and effects on the quality of the end product. It is used by operatives working in a number of industrial sectors including oil and gas, Pharmaceutical, Manufacturing, nuclear, diving and in medical applications. Compression of ambient air concentrates the normal contaminants already present in the air and can also introduce other contaminants such as Oil vapor, Condensed water and Bacteria. Autocal validate Compressed Air in all kinds of industries as the demand for compressed air quality depends on its usage, we can also validate Compressed Air in some industries where they require extremely high quality air along with Breathing Air Validation, Instrument Air Validation and Nitrogen Gas Validation. The Dew point temperature or Saturation temperature can be defined as the temperature at which Water vapour begins to condense. The quantity of any gas in a mixture can be expressed as a pressure. The major components of compressed air are nitrogen, oxygen and water vapor, so total atmospheric pressure is composed of the partial pressures of these three gases. While nitrogen and oxygen exist in stable concentrations, the concentration of water vapor is highly variable and must be measured to be determined. Gas of unknown water vapor concentration is passed over a temperature controlled surface. The surface is cooled until condensation forms. 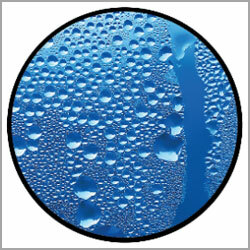 The temperature at which condensation forms is called the “Dew Point temperature.” Because there is a unique correlation between temperature and saturation vapor pressure, measuring the Dew point temperature of a gas is a direct measurement of the partial pressure of water vapor. Desiccant drying systems absorb water vapor from the air stream and can produce air with a Dew point of -40°F (–40°C) and drier if required. Dew point temperatures in compressed air range from ambient down to -112°F (–8 °C), sometimes lower in special cases. 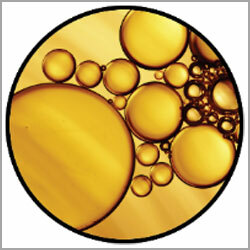 A Compressed Air Oil content test is a measure of the Oil Content of Compressed air systems. The test can accurately determine the amount of Oil flowing in a Compressed Air stream and assess whether the system complies with relevant requirements. Many Compressed air systems are supplied using lubricated compressors. These Compressors often blow small particles of Oil throughout the system, which can cause a range of problems for components when the Oil emulsifies with water in the system. Oil free air is generally required for an Compressed Air System and an Oil content of less than 0.01 mg/m3 is generally specified. Compressed air is used in a broad range of applications in the industries and used in the mixing of ingredients, cutting, sparging, drying of product, transporting/propelling product through processing systems and packaging of final product. In many of these applications, compressed air is in direct contact or indirect contact with product and the impurities in the compressed air may contaminate the product which can result in change of color and taste, reduced shelf life, in addition to exposure to bacteria and other microorganisms can result in product recalls. Compressed air, which is generated on site by pulling in ambient air and compressing it, contains water vapor, particulate matter (atmospheric air typically contains 140-150 million dirt particles/m3). More importantly, the filtration systems that are employed are designed to protect process equipment from large slugs of water, oil, rust and pipe scale with a nominal rating of 25 to 40 micron and are not capable of removing submicron contaminates. Compressed Air is generally filtered to remove Particulate Matter to a level less than 0.02 mg/m3 (size 100&percnt; <0.01 micron). All atmospheric air contains some water vapor which will begin to condense into liquid water in the compressed air or gas system when the air or gas cools past the saturation point, i.e., the point where it can hold no more water vapor. 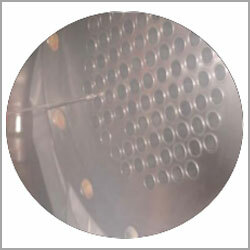 The condensed moisture must be removed by a separator and trap. Moisture in compressed air used in a manufacturing plant causes problems in the operation of pneumatic air systems, solenoid valves and air motors. This moisture causes rust and increased wear of moving parts as it washes away lubrication. Moisture adversely affects the color, adherence, and finish of paint applied by compressed air. Corrosion of air or gas operated instruments from moisture can give false readings, interrupting or shutting down plant processes. The malfunctioning of these controls due to rust, scale, and clogged orifices can result in damage to product or in costly shutdowns. Additionally, the freezing of moisture in control lines in cold weather commonly causes faulty operation of controls. Moisture content should be less than <0.01&percnt; for Compressed Air System. The manufacturer may not realize that the compressed air system could be harbouring microorganisms. When the air supply system is operating, it may unleash contaminants which could adversely affect the product, including operational characteristics, by compromising sterile claims, or product aesthetics. 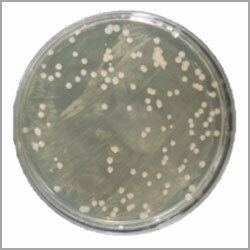 The condition or the quality of the supplied air, from a microbiological standpoint, may not be obvious unless microbiological testing is performed. A simple air impaction microbial assay of compressed air lines, however, will alert the manufacturer to the various types of viable microorganisms that might be present. Manufacturers of medical devices, pharmaceutical operations, or those classified as sterile fill, are constantly assessing the environmental impact on the product during the manufacturing process. This assessment usually includes the facility, the equipment, and the personnel involved in the assembly process. 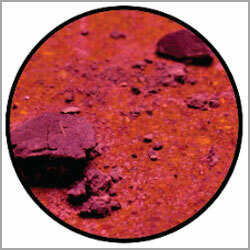 Sampling may include, but is not limited to, surface sampling, particulate counts, water analysis, and product testing. However, compressed air can easily be overlooked if not initially inserted into the environmental monitoring protocol or identified by an experienced environmental scientist. For Compressed Air System, Viable count should be <100CFU.